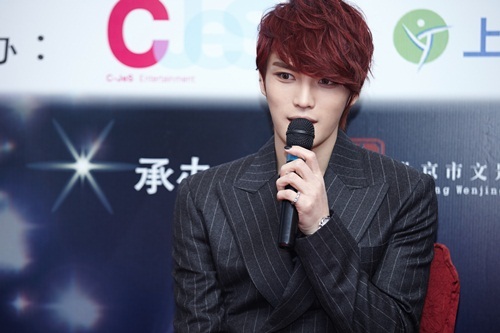 Amidst his Asia tour fanmeet and concert, JYJ’s Kim Jaejoong opened up about his feelings and determination. On the 16th Kim Jaejoong met with Korean reporters for a press conference ahead of his ‘Your, My and Mine’ Asia tour fanmeet and concert at the Shanghai Marriott Hotel Luwan. Kim Jaejoong released his first solo mini album ‘I’ in January and met with over 20,000 domestic and overseas fans at the Ilsan KINTEX on the 26th and 27th of January and in Bangkok, Thailand on the 17th of February. -How do you feel about holding a concert in Shanghai, China? -You held a press conference with the Chinese media before the one with the Korean media; what question made you feel happy? -We’re curious to know how much you participated in the directing of your current Asia tour concert. -Do you have any special events prepared for the China concert? -As a group, JYJ has created a niche for themselves in the Japanese market. You must sometimes think about expanding into the Chinese market as well. -The feeling of standing on stage with the other members and standing on stage alone must be very different. “I don’t think there’s anything good about being alone, because you feel lonely. (laughter) When Junsu was on his world tour and had just returned to Korea after his South America tour, he looked at me and said, ‘I thought I was going to die from loneliness.’ I thought being on a tour alone would be a new and great experience, but I realized that the loneliness you feel is inevitable. -What is the biggest difference between a performance by JYJ and one by Kim Jaejoong? 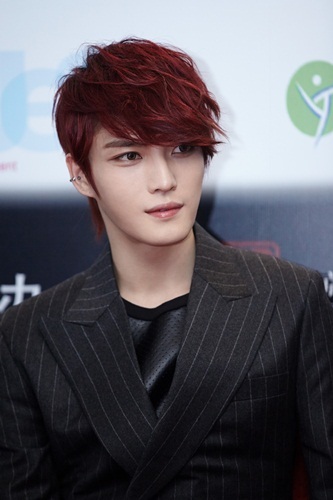 -If you were to pinpoint a difference between JYJ fans and Kim Jaejoong fans, what would it be? -Was there a moment in your Asia tour that the fans moved you deeply? -During one of your events for the fans, you cooked rabokki (spicy rice cakes with ramen noodles). -Is rabokki the dish you’re most confident about? -Do you ever feel that you’re in a competition with Junsu, who has also released a solo album and held a solo concert? What was the advice the other members gave you? -This year marks the tenth year since your debut. I’m sure it’s very meaningful to be holding your first solo tour concert while looking back on the past ten years of your life. -What do you want to do, accomplish or fulfill? -What was your happiest or saddest moment in the past 10 years? -Are you happy with what you’ve achieved with your first album? -If you decide to release another solo album, would you take another stab at the rock genre? Or would you try out a new genre? -Is there a senior in the music industry you’d like to emulate? -What kind of senior do you want to be for your juniors? -What are your plans for your Shanghai concert?